Cozy up with a soft cuddly fleece baby blanket. Single layer fleece with matching 2″ satin border. Receiving size: 30″ x 40″ Choose your color and embroidery below. Let us tell your baby’s story on this personalized baby blanket. 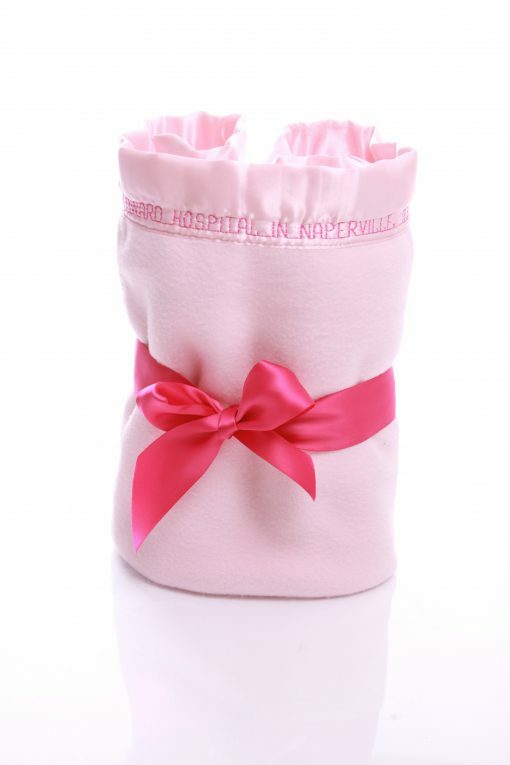 This baby blanket is a single layer of soft and cozy with a matching satin border. High on the cuddle factor and gets softer and softer with every wash.
Machine wash warm. Do not use bleach or detergents containing bleach. Blanket Colors: baby blue, pink, white and cream. 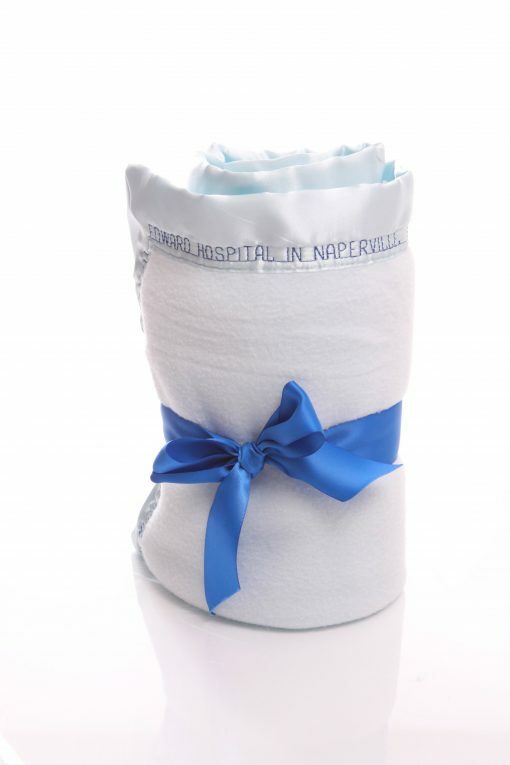 Wording: These personalized baby blankets are made just for your baby and include their name, date of birth, time, weight, length, mom’s name, dad’s name and siblings names. 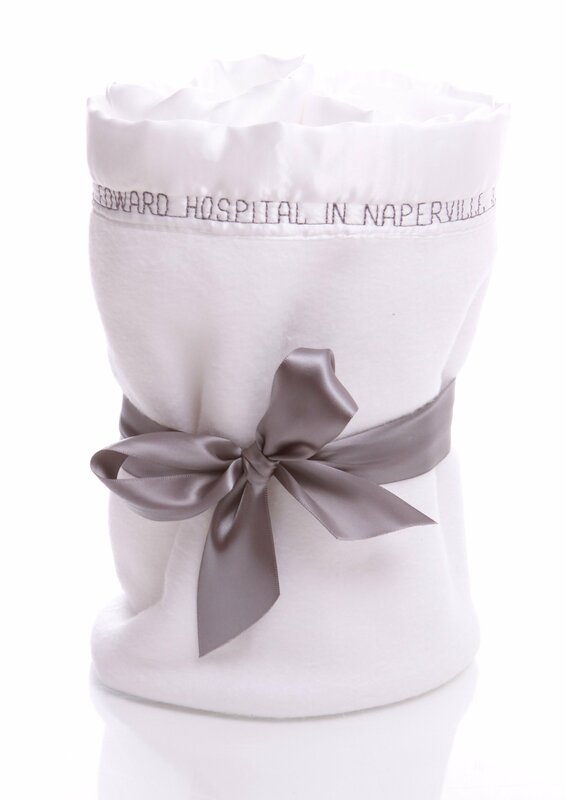 These blankets are also large enough to include other personalized details such as hospital, grandparents, pets, etc. You can enter these details in the “other information for blanket field”. If you have a special prayer or blessing that you would like to include on your blanket, please contact us and we can make that happen! All information will be embroidered around the blanket on the satin border. All blankets begin with “Welcome to the world”. You will have the option to choose God Bless or Sweet Dreams as a continuing phrase to fill the rest of the blanket with flowers and hearts for girls and stars for boys. Special prayer: God in heaven hear my prayer and keep me in thy loving care. Be my guide in all i do and bless all those who love me too. Amen.